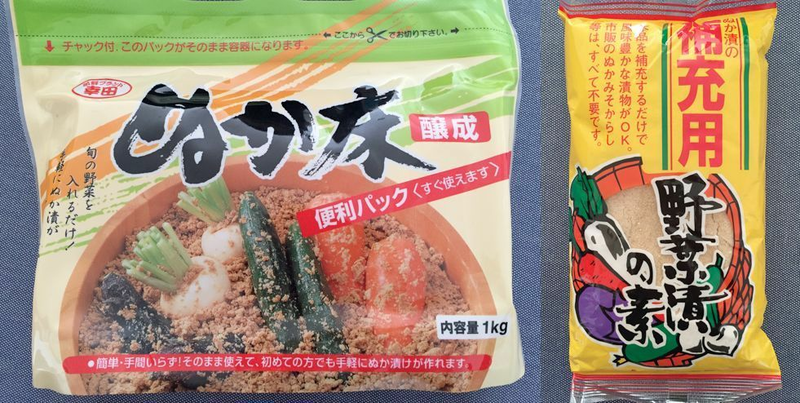 Nukazuke are a type of Japanese pickle, made by fermenting vegetables in rice bran (Nuka). This kit is NUKA-BED that is ready to pickle after adding water. It comes in the Japanese Traditional style with fish and egg shells. You can pickle various vegetables you love! 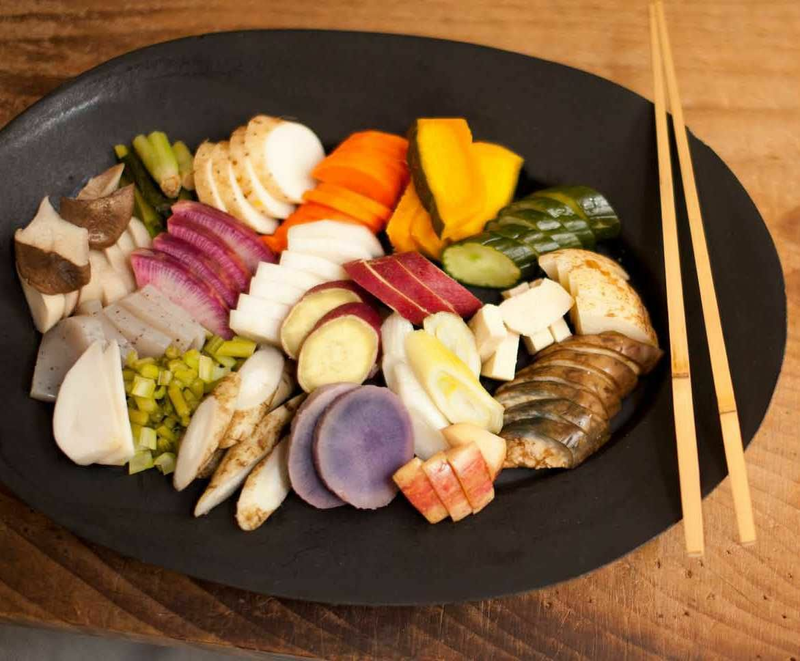 Traditional varieties include Japanese eggplant, radish (daikon), cabbage, and cucumber. 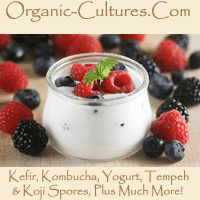 But any firm organic foods may be used, with root vegetables being a good choice. Fish can also be placed in the Nuka-bed, sardine, mackerel, Japanese horse mackerel are frequently used. However, we suggest having a separate bed not used for vegetable production. These 'pickles' will have a great fermented and salty taste and are perfect condiment to any meal. HOW TO PICKLE: 1. Wash the vegetables clean 2. 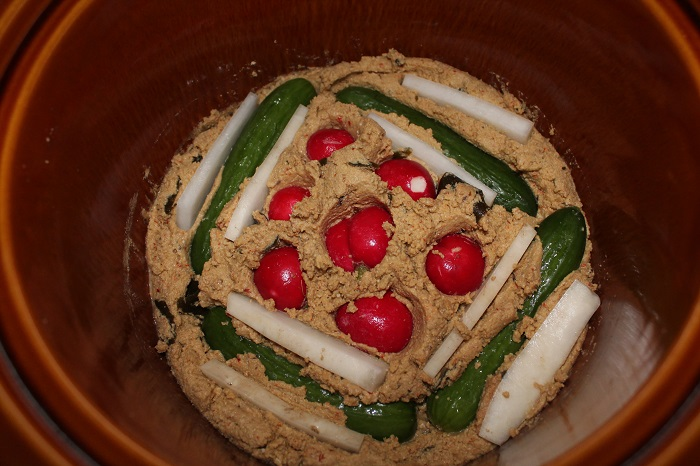 Soak (pickle) vegetables in NUKA-DOKO inside the plastic bag or place in a wooden or ceramic vessel. 3. Release the air from the plastic bag and seal it off. You can use a container with a lid of your choice 4. Put in the refrigerator (depending on the temperature in your area) and after 1-2 nights the pickles are ready. It's ready to eat! 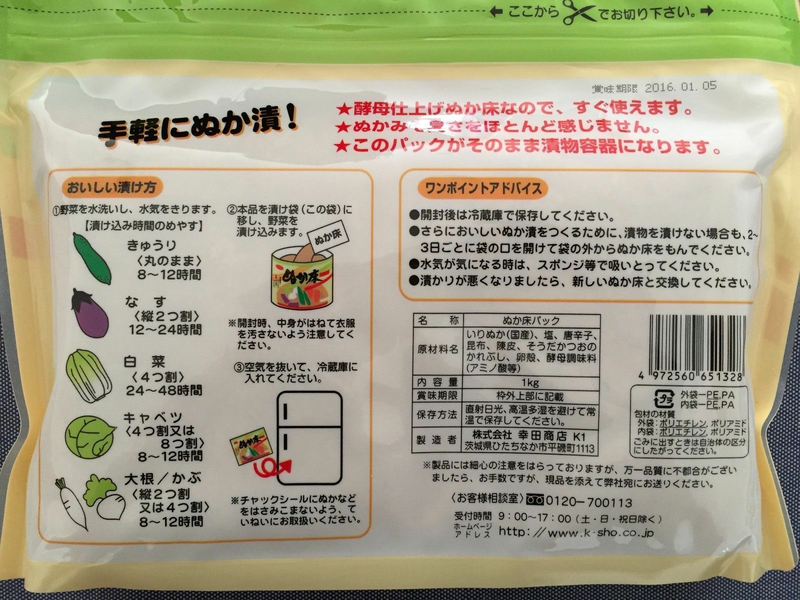 Don't forget to remove(wash) NUKA rice bran from the fermented vegetables. 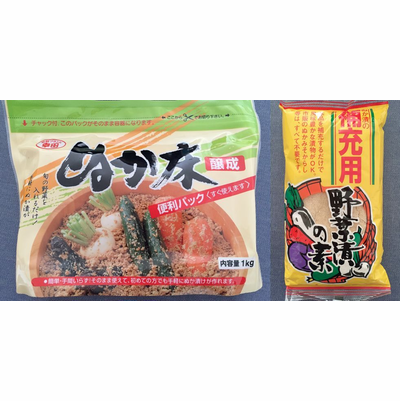 Ingredients: Non-GMO Rice bran, sea salt, crushed red-pepper, Kombu seaweed, dried citrus peel, dried bonito flakes, egg shells, yeast extract, contains Lactobacillus starter. - It needs to be stored under refrigeration after opening/using to avoid mold and rot. Comes with 1kg Nuka kit and 300gr of extra rice bran to continuing making several batches.